Your products deserve the best packaging available, and there’s nothing better than Jukebox’s recycled Kraft wrapping paper. Remind your customers of your attention to detail by sending them home with a package tastefully wrapped in your branding and design. Kraft wrapping paper is available in a variety of gorgeous shades from Light Ivory to signature Brown Kraft. We know your needs are unique - we offer different paper weights of wrapping paper to suit your specific requirements. Choose thinner options for manageable paper that makes wrapping quick and simple. Choose heavier options for more sturdy and protective paper to wrap your more fragile products. Our Kraft Wrapping Paper is designed to be perfect for packaging goods to be shipped, sold in-store or for wrapping up gifts for your favourite customers and clients. Your wrapping paper is printed with quick turnaround and the Jukebox standard for the highest quality. Create custom wrapping paper to wrap up your party gifts and have people talking about your event for months. You can order as few as one roll, and best of all there are no set-up fees. Get creative with Kraft! *This stock is too thin to hold anymore ink than the maximum indicated on the chart. The Wrapping Paper rolls are created to work with most standard wrapping paper dispensers designed for 24" wide roll. See: What is the total diameter of the Wrapping Paper roll? 4pt White Kraft 150' 5.5"
5pt Light Beige Kraft 250' 5.75"
8pt 100% Recycled Brown Kraft 150' 5.5"
All of our Wrapping Paper products are come from sustainable sources. You may request Samples of the Wrapping Paper via a Specialty Sample Pack. Each order of Wrapping Paper is rolled on a tube and packaged in a Jukebox branded box. Blind packaged orders will come in a regular box. The PT (Points) value of the paper represents the thickness – the higher the number the thicker the paper. Generally a thicker the wrapping paper the less "show through" (print being visible through the back of the paper) will occur. Thinner papers may be more suitable for certain uses – such as tissue wrapping paper for fine goods. Please note that our Wrapping Papers are uncoated, inks tend to soak into the paper and appear duller than a coated paper print. Coloured stocks (such as Brown, Light Ivory Beige) will affect how colours appear when printed. We do not print white ink. 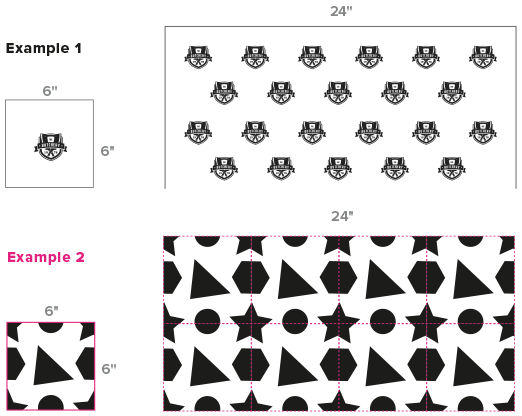 The maximum coverage area is 50% of the sheet. This paper cannot hold large areas of solid colour. For this reason, 50% of the area of the sheet must be blank (not have ink coverage or design on it). Wrapping paper rolls are printed full colour process (CMYK); or also with the option of black ink only. The colours are effected by the colour of the paper being printed on to (such as Ivory, Beige and Brown Kraft). The uncoated property of the paper also means that colours do no appear as vibrant when compared with a coated print. Please note: longer roll lengths may not be continuous (there may be a break every 50 feet). Our Wrapping paper rolls are 24 inches wide. You can purchase in lengths of 25, 50, 100, 150, 300 or 400 feet. even us it as custom wallpaper in your home! 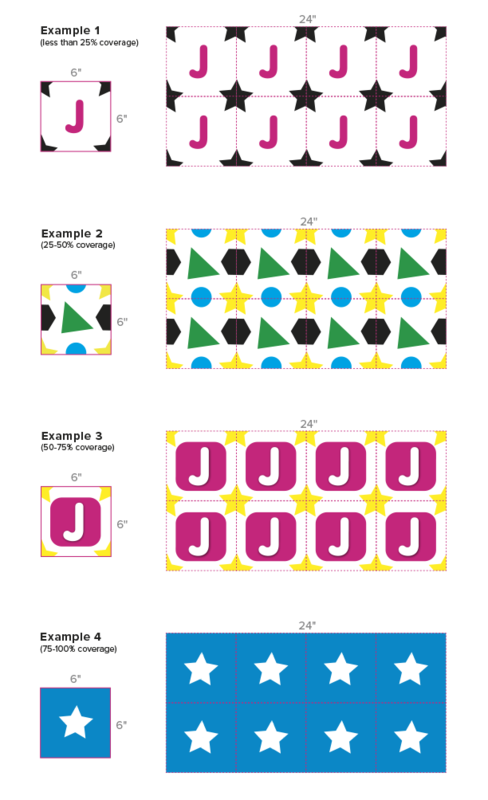 The uses are endless – Share you unique uses of our Wrapping Paper with others using #Jukeboxprint on social media.